Moe Creations: Staying cool!/Cardz TV Gallery! I hope all is well?!? It's my day over at the Cardz TV Gallery blog and I have a fun card share for you. Now that the pools are officially open, I wanted to jump in too, only with a card though....lol I do hope you enjoy it! 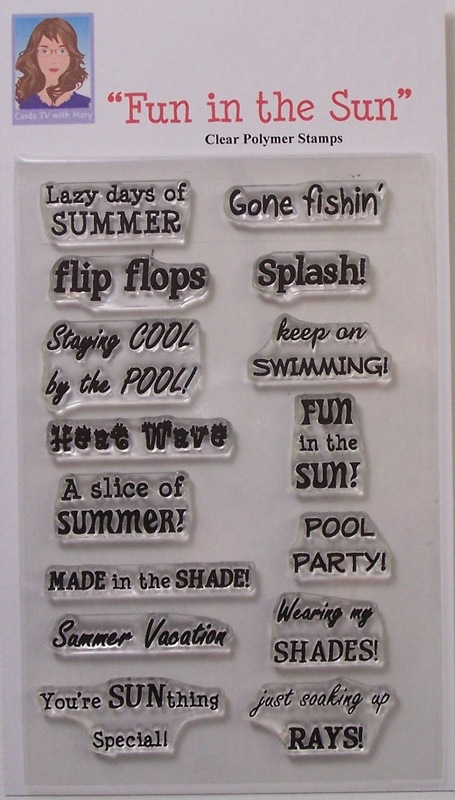 Fun in the Sun is the stamp set I am using today! Be sure to visit the Cardz TV Gallery everyday for more inspiration! Cool card. I love the bears pols dot bikini. Oh how CUTE!!! Love your Pool Bear!! Great Card shape too!!! :) Have A Crafty Day! That is too cute! Love the embossing on the background and the little polka dot bikini is adorable!